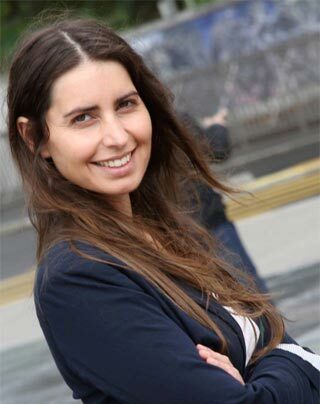 In 2008, I, Prof. Joana Paiva (Studies Director), graduated in Portuguese and English Studies. After my graduation, I was having second thoughts about my future. I’d heard so many stories about the issues of being a teacher. Everyone was talking about “thousands of unemployed teachers”, “the government is shutting down schools around the country”, “it´s time to emigrate”, and so on. But I had a problem. I was deeply in love with my language and my country. Teaching my language to others was my dream. Therefore, I wasn’t ready to turn my back and give up. Besides, how could I miss the ocean, the sunny days, the smell of fresh fish, the delicious and breath-taking Portuguese pastry, people smiling at each other and commenting on the weather in the metro, walking around the streets with that soft breeze on your face, leaving work and sitting in a café with my favourite newspaper and hearing people talking about the last football match or complaining about their rheumatoid arthritis. Small things actually matter. So, after five years teaching Portuguese for Foreigners for different schools and companies in Porto, I decided to follow my dream and open my own Portuguese Language School, this time in Lisbon. This project is the result of a constant idea that I had in mind: to create a school focused on teaching Portuguese for Foreigners but with a new concept and a different approach. A student’s experience of a lifetime. As Fernando Pessoa says Deus quer, o homem sonha, a obra nasce (God wills, the man dreams and the work is born). And here it is: The Portuguese Connection Language School Project.